I started praying the Rosary this evening and started feeling a pressing of the Holy Spirit to share some thoughts on each of the Sorrowful Mysteries of the Rosary for families who experience the pain of miscarriage. One of the hardest parts of miscarriage is all of the waiting. When you initially suspect you are losing your child, you have to wait to confirm. Then the ultrasound confirms that your baby has died. The waiting begins for the miscarriage to begin, or be over. After the miscarriage itself you wait for the agony of the grief to subside. You wait to feel joy, peace, or even whole again. So much waiting. 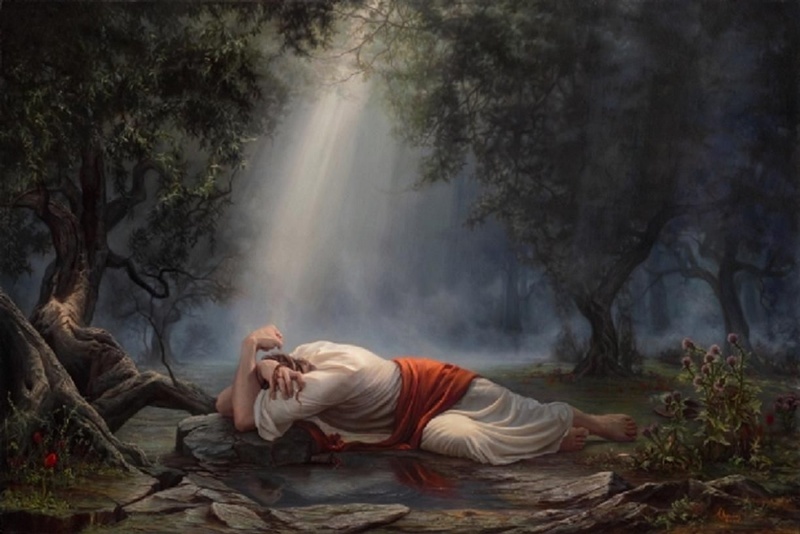 It can be difficult, but uniting this to Christ’s agony the night before he died can help bring you comfort. With my last miscarriage, I was exhausted and hurting from all of the waiting. I was waiting to bleed out my child. It was agonizing for me. Think of how Christ felt knowing that he was about to be tortured and crucified. Most importantly think about how much weight he felt taking on all of our sins. Look at how Our Lord felt. He was overwhelmed with sorrow. Isn’t that how it feels to lose a child? Don’t you too want someone to keep watch with you in that hour of loss? The pain is unbearable. Lift your pain and suffering to Christ. He knows how you feel. He wants to comfort and wait with you in that hour of need. He always wants to be there for you. It is hard, but try. I know how hard it is to just give the grief over to Him. You may feel anger, betrayal, or incredible sadness. Or, like me, you may feel all of these emotions. Give it all up to Him. Every single emotion, thought, feeling, action. Ask Him to sit with you in your agony. Ask Him to welcome your child into His Kingdom. 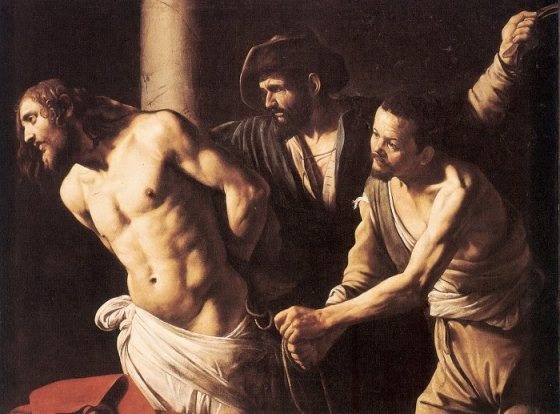 Our Lord was brutally tortured before he was taken to be crucified. Anyone who has seen Mel Gibson’s The Passion has caught a glimpse of what Our Lord endured for us before his death. Miscarriage can be deeply painful physically, mentally, and spiritually. Depending on the severity the physical pain can be unbearable. As difficult as it is, offer up each cramp or wave of pain to Christ. He knows extreme physical and emotional pain. There will be moments when the grief alone will feel like torture. Give it over to Christ. Share with Him your burden. 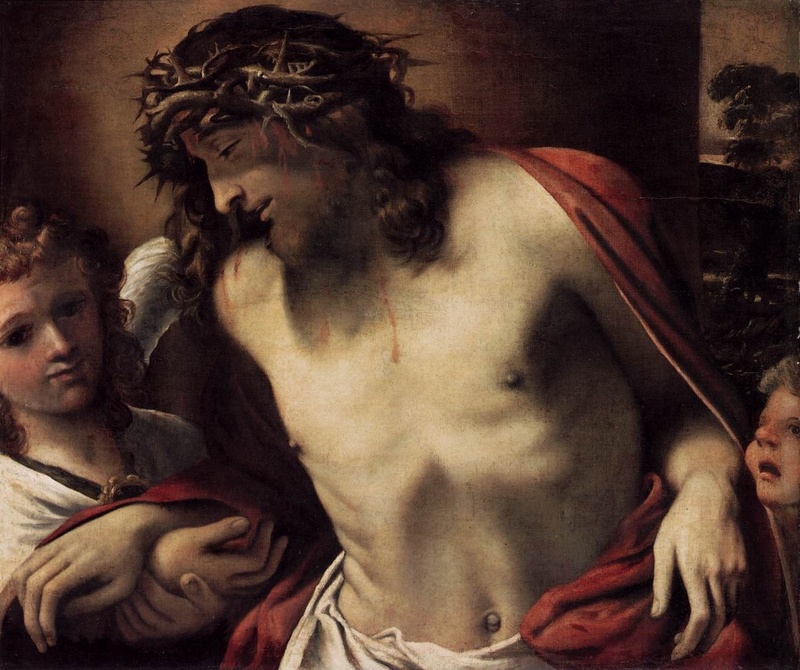 In a great moment of humiliation and torment, Roman soldiers crowned Our Lord with a crown of large thorns. It is deeply difficult to be crowned in loss. We may intellectually know that suffering is a part of this journey, but none of us is prepared for the heavy burden of loss, especially losing a child or children. It is a crown no one wants to wear, but when we lose a child in miscarriage we are given our own crown of thorns. Unite that loss with Christ. When someone says something insensitive to you about your miscarriage, remember that Jesus was humiliated as He died for us. Ask him to help you endure the crown of loss. This is the longest portion of the journey. We must carry the Cross of miscarriage with us for the rest of our lives. 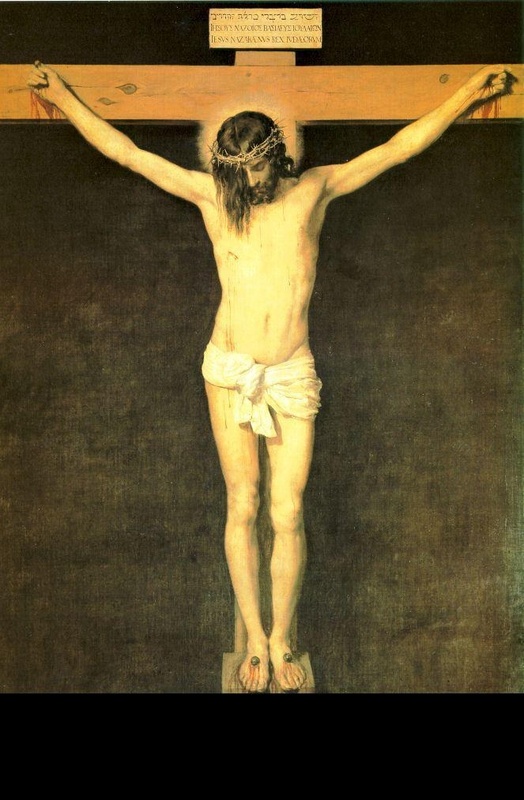 “And bearing his own cross, he went forth to that place which is called Calvary, but in Hebrew Golgotha.” -John 19:17. 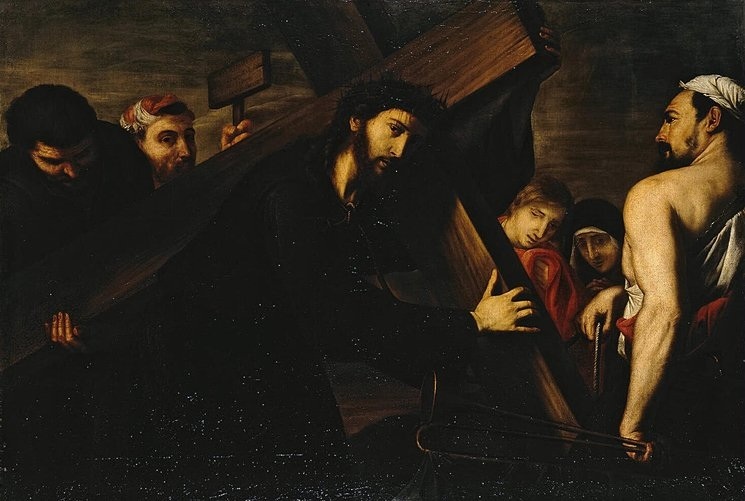 Christ had to carry the Cross and we are assured that we must follow Him. We must bare the pain and anguish. It may lessen its sting over time, but it never truly goes away. We must remember anniversary dates, see other people having babies, or miss the children we never got to hold. Ask your children in Heaven to pray for you as you carry this Cross. Ask Christ to help you shoulder the burden. Remember how He loves you. In your moments of despair ask Him for help. He is always there, especially in the darkest moments. He is there helping us put one foot in front of the other. He whispers to us that we can go on and he helps us carry the Cross. The darkest moment in human history came before the brightest. Our Lord died on the Cross to bring about our salvation. Miscarriage comes with the death of a child. Or for many, multiple children are lost over time. We must learn to give those children back to God. They are His. It is deeply painful. It is hard to let go. We must unite our own loss and suffering with the power and pain of the Cross. The Lord who offered Himself up for us will take good care of our babies. They are, and always were, His. I struggle greatly with this truth. In our moments of deep grief, pain, and agony, we must give it up to Christ who died on a Tree. We can also ask His Mother to pray and comfort us. She stood by and watched her Son die. She knows the terrible pain of losing a child. This is especially helpful during the miscarriage and also while dealing with the grief. This life is the Cross, but remember the battle is won. We are a Resurrection people. We hope in the life to come. The Sorrowful Mysteries of the Rosary are the perfect prayer for women and families dealing with miscarriage. Prayer may be difficult. The nice thing about rote prayer is that it can help get us through the really tough times. It guides us when we feel like we cannot go on. Ask Our Lord to comfort, heal, and strengthen you. Ask Our Heavenly Mother to guide you through the grief back to Her Son.